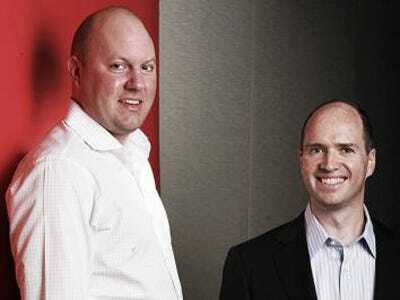 This morning around 4 AM, Marc Andreessen logged onto Quora and started answering questions for about an hour. It looks like it was the first time he’s answered anything on the question-and-answer site since the end of December. We tried to format this like an interview. A paraphrase of the question asked on Quora is in bold, Andreessen’s answer follows in quotes. Should Facebook have sold to Yahoo for a $1 billion given all that was known at the time? “Hell no! What kind of return are limited partners looking for from a VC firm? “There are very complex agreements between venture capital LPs and venture firms/GPs, as you might imagine. “Generally, top tier venture LPs are looking for something north of a 3x net return on invested capital. This is for venture funds that usually have a formal 10 year lifespan. Top tier venture LPs usually would rather have higher returns than faster returns, i.e. they don’t really care about IRR if they can get high overall returns. Are the rich paying enough in taxes? “Probably not, and in particular the most egregious unfairness is the failure to tax carried interest as ordinary income (fee for service) in investment businesses such as venture capital, private equity, and hedge funds. “It is also a fairness problem that capital gains taxes are lower than ordinary income taxes, given that rich people usually generate more income from capital gains than poor people. But this conflicts with my view that capital gains taxes should be reduced to spur additional investment, particularly in new and growing businesses. Which is why the optimal tax system for the US would probably be focused on a consumption tax that is sharply progressive — i.e. rich people should get the bejeezus taxed out of us for consumption, but with a corresponding steep reduction in capital gains tax rates.